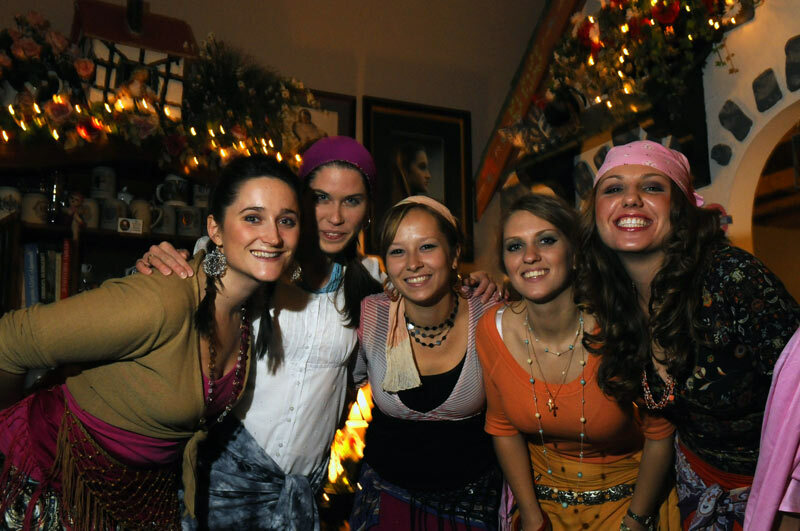 2008 November « GASTHAUS: got 'kraut? We’ve been reviewed again by the Courier-Journal on Saturday, November 15, 2008. Check it out! Halloween with us…Zigeuner Schnitzel anyone? 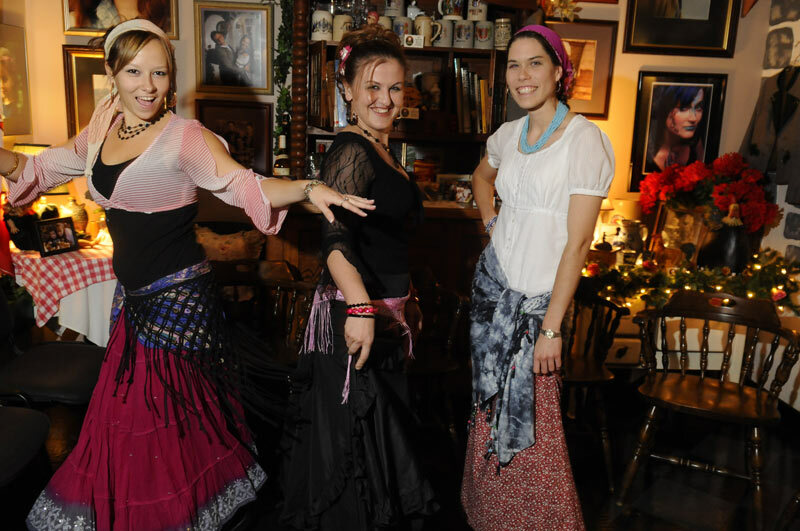 We just wanted to share some pictures of the Gasthaus staff all dressed as gypsies for Halloween. 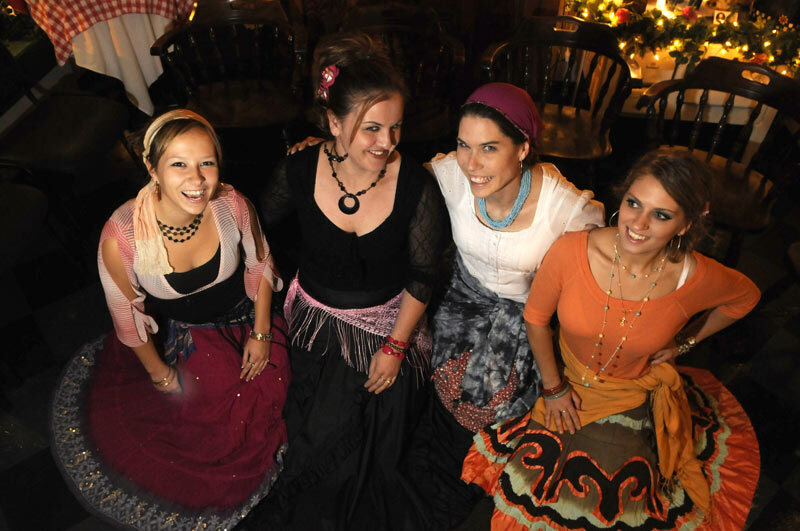 From left: Nina, Laura, Jill, Olga, Marina (not staff) are having some fun as gypsies. Again Jill, Sylvia and Laura.